This lovely corn maiden mother with her child is accompanied by 14 carved animals. There are three corn maidens, including the center pendant, two frogs, two badgers, two birds, two bears, and two turtles! 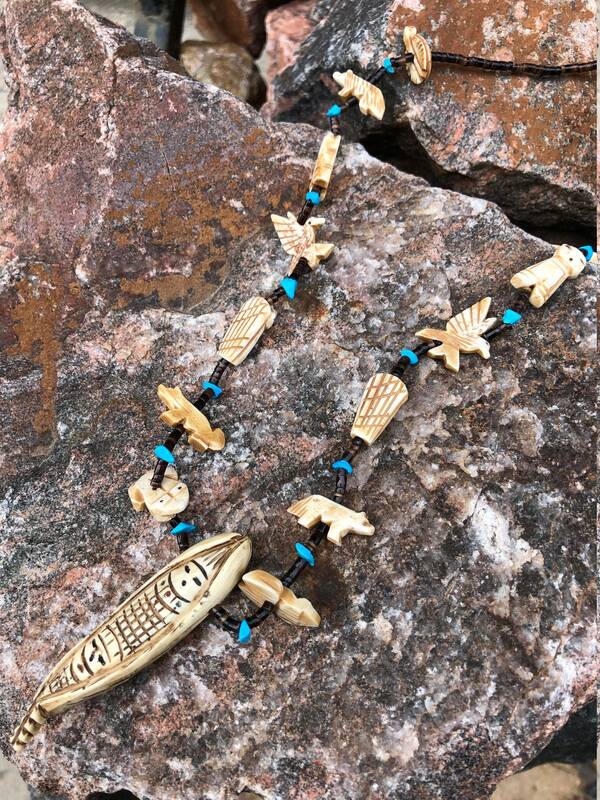 Separating the animals are heishi beads and a piece of turquoise. 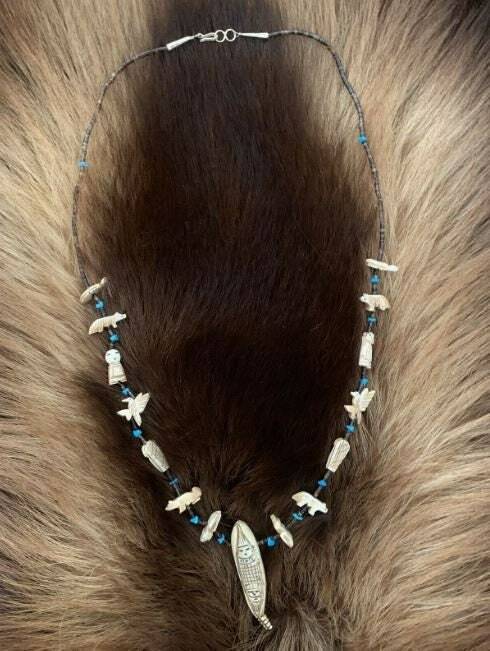 SIZE: Necklace is 33 inches long with a Corn Maiden centerpiece which measures 3 inches long by 1/2 inch wide at it's widest area. Each animal varies in length, from 3/4 inch to 1.0 inch long. WEIGHT: about 1.1 ounces.